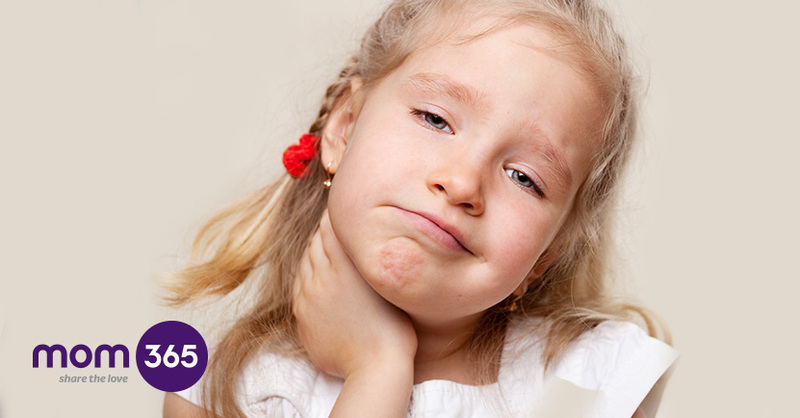 Home | Mom | Family Health Concerns | What is Tonsillitis? Tonsillitis is an infection of the tonsils, and can be either be bacterial or viral. The tonsils are a pair glands situated on either side of the back of the throat. Tonsils are supposed to help fight infection, but how effective they are still isn't certain - and plenty of people who've had their tonsils removed seem to thrive perfectly well without them. You can catch tonsillitis in much the same way as a cough or cold, either by inhaling airborne droplets of other people's saliva or through contact with hard surfaces or another person's hands that are carrying the infection. Infection happens when the bacteria are transferred to the mouth or nose. The illness can affect anyone but it's commonest in young children and adolescents. Symptoms typically emerge two to four days after coming into contact with the virus or bacteria. They include a very sore throat, white pus-filled spots on the tonsils, swollen glands under the jawline and in the neck, and sometimes a fever (temperature of 100°F or above). The sufferer might also have a cough, headache, and feel generally unwell. What are the treatments and remedies of Tonsillitis? Because most cases of tonsillitis are viral, they usually clear up on their own with self help, but if your GP suspects it's bacterial, a swab may be taken to confirm the diagnosis. This isn't as straightforward as it sounds, though, as many people are carriers of the bacteria that can cause tonsillitis, so it can be hard to know whether the sufferer is just carrying the bacteria or has been infected by it. If the bacteria is detected in the swab and symptoms are showing no improvement or getting worse, or if your fever isn't coming down, your GP may prescribe antibiotics. If tonsillitis recurs five or more times in a year, the advice may be to have the tonsils removed surgically. Paracetamol or ibuprofen can be taken to ease symptoms of sore throat and headache.